Join The ALS Association as we honor the progress being made in achieving a world without ALS. Be a part of our community of hope by attending one of our annual fundraising luncheons. A delicious lunch, inspiring program and some fun surprises are in store. 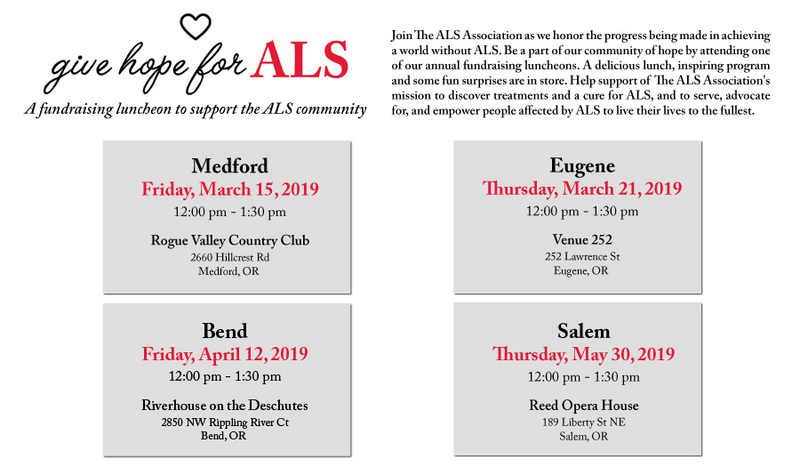 Help support of The ALS Association's mission to discover treatments and a cure for ALS, and to serve, advocate for, and empower people affected by ALS to live their lives to the fullest.